Pacemaker Press Belfast 12-04-2017: Police are appealing for witnesses and information following the report of criminal damage caused to a house in the Tarragon Park area of Antrim in the early hours of this morning. The Police are treating this as a hate crime. Patrick Grzechnik pictured outside the house. 'Picture By: Arthur Allison; Pacemaker. A brick thrown into a house during a ‘hate crime’ landed in the cot of a one year old baby. Fortunately, the child was ill and was lying with parents at the time. 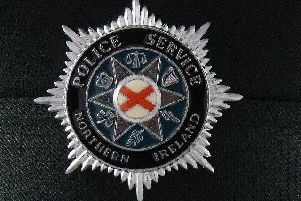 Police are appealing for witnesses and information following the report of criminal damage caused to a house in the Tarragon Park area of Antrim in the early hours of this morning. Police are treating this as a hate crime. Sergeant John Hamilton said “At 2:20am today, (Wednesday, 12 April) two windows at the property, one at the front kitchen and one at an upstairs bedroom were smashed. The piece of brick used to smash the upstairs window landed in a 1 year old baby’s cot. “However, due to being sick the baby was lying with their parents at the time. These reckless actions could have caused serious injury had this not been the case. SDLP Antrim Councillor Roisin Lynch has condemned the ‘appalling attack on a home in a typically quiet area of Antrim’. She said: “The reckless thugs who smashed the windows in the home not only sought to terrorise this family but they could have seriously injured a young child who luckily wasn’t in the cot that a brick landed in. “Antrim is a welcoming town. Those responsible for this attack stand alone and against people in our town.